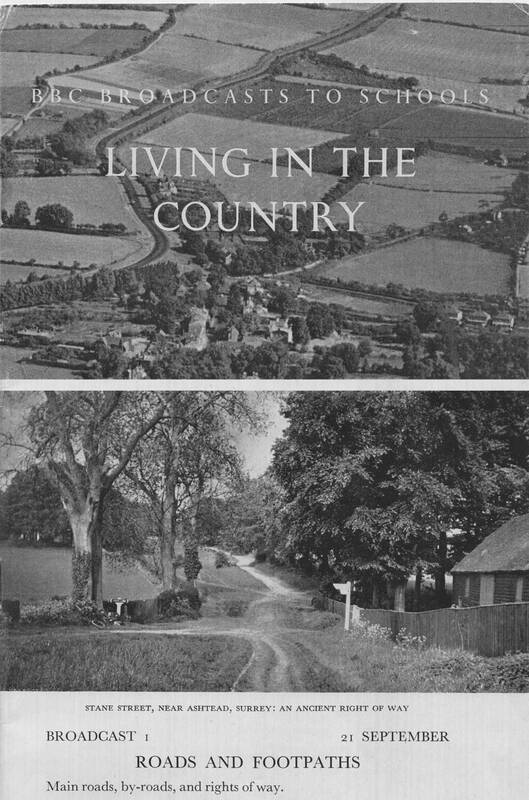 This is Bedfordshire, these tracts of land haven't changed since the 11th century and maybe before this. The path which I walked regularly when I lived in the country is adjacent to the woods, some people seeing this series of photographs, locate the path in different parts of East Anglia, I was pleased by this, as it denotes the image as archetypal, maybe even picturesque which I feel drawn to. I was excited to learn about the Claude Glass and particularly it's use by tourists who used the device to experience the landscape in the 'correct way', as they had seen it rendered by artists in picturesque landscape paintings and engravings. A Claude glass (or black mirror) is a small mirror, slightly convex in shape, with its surface tinted a dark colour. Bound up like a pocket-book or in a carrying case, Claude glasses were used by artists, travelers and connoisseurs of landscape and landscape painting. They were famously used by picturesque artists in England in the late 18th and early 19th centuries as a frame for drawing sketches of picturesque landscapes. The user would turn his back on the scene to observe the framed view through the tinted mirror—in a sort of pre-photographic lens—which added the picturesque aesthetic of a subtle gradation of tones. 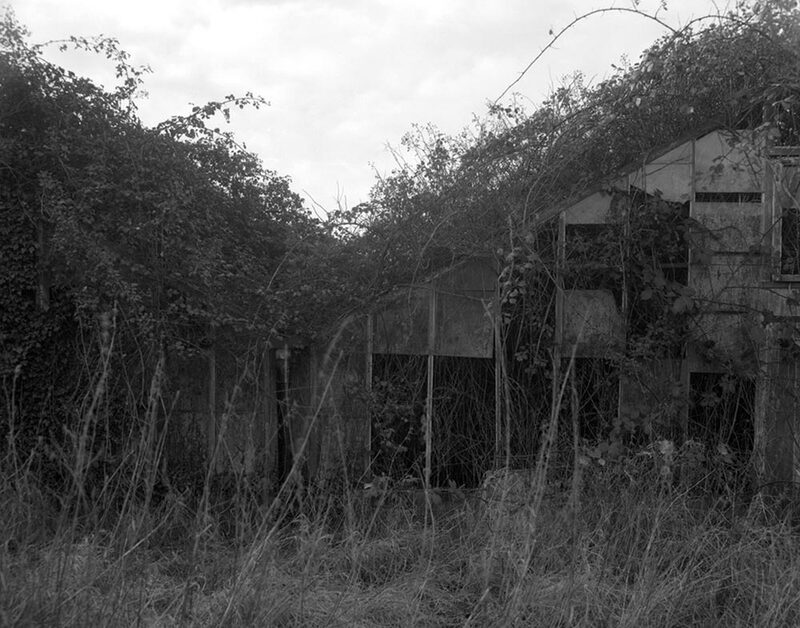 Thirty two large glass houses have taken only 15 years to return to nature or a state of ruin. Built at the start of the 20 century complete with brick chimneys, their original use was to grow tomatoes and cucumbers. Recently the land has been sold for development, and changed hands a few times. There are many such sites across this part of Bedfordshire which was once covered in market gardens, and once one of the primary suppliers of vegetables to London, with a vegetable train running from close by Biggleswade to London daily. I read that the economics of market gardening in the area changed, partly due to the demise of horses on the streets of London, ending the ready, cheap supply of manure, which had previously returned on the empty vegetable trains from the city. In The Seven Lamps of Architecture Ruskin described that "peculiar character . . . which separates the picturesque from the characters of subject belonging to the higher walks of art" as "Parasitical Sublimity" — "a sublimity dependent on the accidents, or on the least essential characters, of the objects to which it belongs"
In 1911, in his essay ‘the Ruin’, the German sociologist Georg Simmel described a late iteration of the ruin aesthetic of the previous two centuries - a vision of the ruin as essentially an accommodation between nature and culture, the artificial object sliding imperceptibly towards an organic state, until in the end nature has its way and we can no longer legitimately speak of a ruin at all. ‘Architecture’, he writes ‘is the only art in which the great struggle between the will of the spirit and the necessity of nature in its gravity are held in balance’. In the ruin however nature eventually begins to have the upper hand: the ‘brute, downward dragging, corroding, crumbling power’ produces a new form, entirely meaningful, comprehensive, differentiated. These photographs were taken using a large format 5x4 film camera, I developed the film and printed these 20x24 fibre based paper silver gelatine prints, in the dark rooms at Anglia Ruskin School of Art whilst on the Artist in Art Schools Scheme in 2012-2013. At this time I lived in the country with a studio at Wysing Arts Centre, in rural Cambridgeshire. These landscape musings and images were created around the time I started re-reading Thomas Hardy and subsequently developed ideas for my ongoing project Thus Tess Walks On which creates an alternate terrain based on my own experiences for Tess to walk through.